Manila, Philippines- Wireless leader Smart Communications, Inc. (Smart) has deployed Libreng Tawag stations and distributed relief goods to assist residents of several areas affected by floods due to torrential southwest monsoon (#Habagat) rains intensified by Typhoon Maring (#MaringPH). 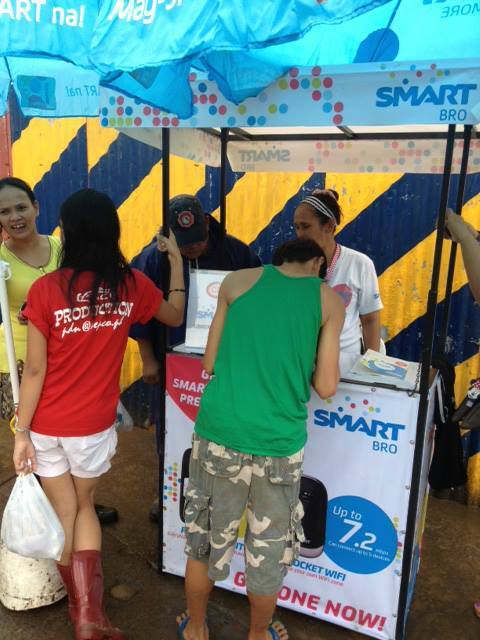 Smart is offering free calls in Binan Poblacion Police Station in Laguna and Malanday Elementary School in Marikina City. More Libreng Tawag stations are being set up in selected areas by Smart personnel and the firm's business partners in places like Mandaluyong, Bulelak Covered Court in Malanday, Marikina City in partnership with the barangay council, Senator Companero Cayetano (SRCC) Memorial High School for Science and Technology in Taguig City, Diosdado Macapagal Elementary School in Brgy. Tatalon, Quezon City, and locations in Rosario and General Trias in Cavite. 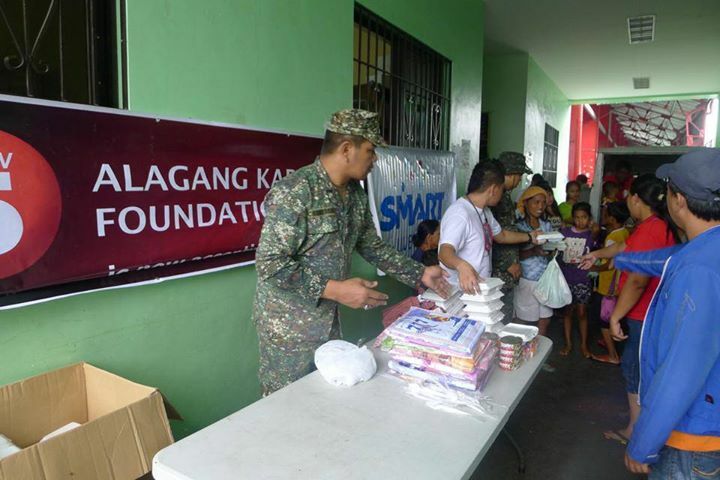 Smart has also joined the Alagang Kapatid Foundation relief operations in Mandaluyong and other areas. Cooked food packs from Smart will be distributed within the day. Yesterday, Smart also distributed cooked food packs in three evacuation centers in Lower Bicutan. These were in R.P. Cruz Elementary School, Divine Mercy Athletic Club, and Brgy. Wawa. Smart also announced through Twitter on how subscribers can get free cellphone credits and ask for load in case of emergency. Here are the steps on how to avail. Smart will continue to work with government units as well as partners in the private sector to provide relief and support to those affected by Typhoon Maring. Due to network preparations, upgrade and planning, Smart network remains resilient and strong in the face of the adverse weather conditions. Minor interruptions were due to prolonged commercial power interruptions in flooded areas but these are being restored immediately as power resumes. Given the emergency situation, Sun Cellular subscribers have also been allowed to roam in Smart's network parts of North and Central Luzon to provide them access to mobile phone services.